REDUCED to SELL.BACK on Market - deal fell through. Spacious, split floor plan home that's ready for you. It's on a corner lot with 4 bed, 2 bath all on one level. New carpet and new wood pattern vinyl on wet areas. Open kitchen has new stainless ref, smooth top stove, microwave, sink and dishwasher. New ceiling fans, exterior just repainted. Large master bath features dual sinks and separate tub and shower. Master bedroom features large walkin closet plus access to the covered patio, . New miniblinds. Spacious backyard is a blank slate ready for your dream yard. Laundry room has lots of room. 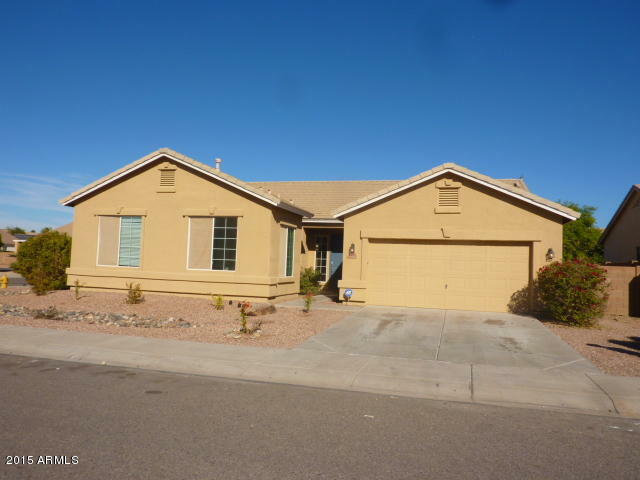 The home is close to Cesar Chavez park and shopping on Baseline and 35th Ave.
3338 W Latona Rd, Laveen, AZ 85339 is a 2.5 bathroom, 2,204 sqft single-family home built in 2004. 3338 W Latona Rd is located in Laveen, Laveen. This property is not currently available for sale. 3338 W Latona Rd was last sold on Mar 24, 2016 for $216,000 (1% higher than the asking price of $213,000). The current Trulia Estimate for 3338 W Latona Rd is $259,476.